For further descriptions of this work, see: Sulikowski and Hudlicky: Nature News and Views Article (Click here for a full-text, view only version) and a Nature Research Chemistry Community 'Behind the Paper' Blog Post. 139. Creating Novel Translation Inhibitors to Target Pro-Survival Proteins in Chronic Lymphocytic Leukemia. Chen, R.; Zhu, M.; Chaudhari, R.R. ; Robles, O.; Chen, Y.; Skillern, W.; Qin, Q.; Wierda, W.G. ; Zhang, S.; Hull, K.G. 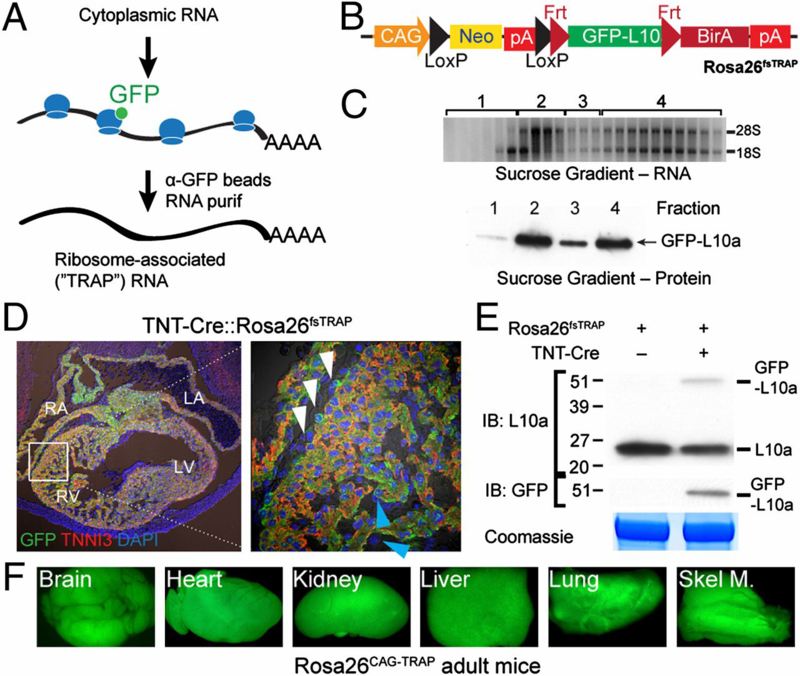 ; Romo, D.; Plunkett, W. Leukemia 2019, Published online 1/30/2019. 138. Total Synthesis and Anticancer Activity of (+)‐Hypercalin C and Congeners. Tao, Y.; Reisenauer, K.; Taube, J. H.; Romo, D. Angew. Chem. Int. Ed. 2019, 58, 2734-2738. 137. A Novel Actin Binding Drug with In Vivo Efficacy. Ravichandran, A.; Geng, M.; Hull, K. G.; Li, J.; Romo, D. Lu, S-E.; Albee, A.; Nutter, C.; Gordon, D. M.; Ghannoum, M.A. ; Lockless, S.W. ; Smith, L. Antimicrob. Agents Chemother. 2019, 63, 1-13. 136. (−)-Homosalinosporamide A and Its Mode of Proteasome Inhibition: An X-ray Crystallographic Study. Groll, M.; Nguyen, H.; Vellalath, S.; Romo, D. Mar. Drugs 2018, 16, 240. 135. Enantioselective Synthesis of Medium-Sized Lactams via Chiral α,ß-Unsaturated Acylammonium Salts. Kang, G.; Yamagami, M.; Vellalath, S.; Romo, D. Angew. Chemie Int. Ed. 2018, 57, 6527–6531. 134. Isolation, Derivative Synthesis, and Structure-Activity Relationships of Anti-Parasitic Bromopyrrole Alkaloids from the Marine Sponge Tedania brasiliensis. Parra, L.; Bertonha, A.; Severo, I.; Aguiar, A.; de Souza, G.; Oliva, G.; Guido, R. V. C.; Grazzia, N.; Costa, T.; Miguel, D.; Gadelha, F.; Gilberto Ferreira, A.; Hajdu, E.; Romo, D.; Berlinck, R. J. Nat. Prod. 2018, 81, 188-202. 133. Multicomponent, Enantioselective Michael-Michael-Aldol-β-Lactonizations Delivering Complex β-Lactones. Van, K. N.; Romo, D. J. Org. Chem. 2018, 83, 632-643. 132. 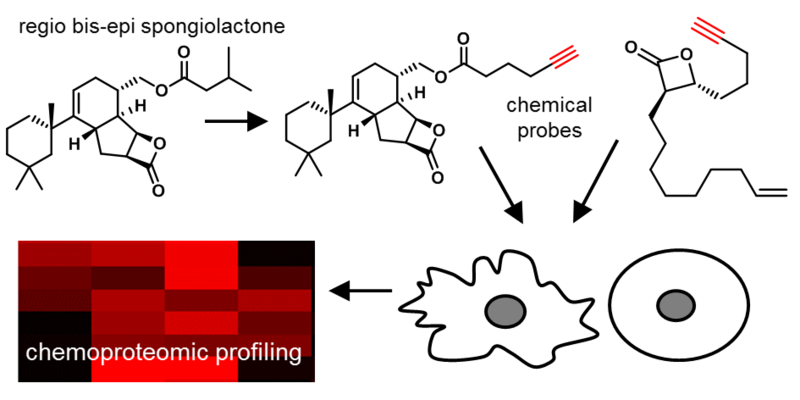 Quantitative Chemoproteomic Profiling Reveals Multiple Target Interactions of Spongiolactone Derivatives in Leukemia Cells	. Wright, M. H.; Tao, Y.; Drechsel, J.; Krysiak, J.; Chamni, S.; Weigert Muñoz, A.; Harvey, N.; Romo, D.; Sieber, S. A. Chem. Comm. 2017, 53, 12818-12821. 131. Diastereo- and Enantioselective Synthesis of Bi- and Tricyclic N-Heterocycle-Fused β-Lactones. Kong, W.; Romo, D. J. Org. Chem. 2017, 82, 13161-13170. [Highlighted in Organic Chemistry Highlights]. 130. Bioactive Seco-Lanostane-Type Triterpenoids from the Roots of Leplaea mayombensis. Sidjui, L. S.; Eyong, K. O.; Hull, K. G.; Folefoc, G. N.; Leddet, V. M.; Herbette, G.; Ollivier, E.; Taube, J.; Klausmeyer, K.; Romo, D. J. Nat. Prod. 2017, 80, 2644–2651. 129. Triterpenoids from the stem bark of Vitellaria paradoxa (Sapotaceae) and derived esters exhibit cytotoxicity against a breast cancer cell line. Eyong, K. O; Baïrys, G.; Eno, A. A.; Taube, J.; Hull, K. G.; Folefoc, G. N.; Foyet, H. S.; Romo, D. Med. Chem. Res. 2017, 27, 268-277. 128. Inhibition of Eukaryotic Translation by the Antitumor Natural Product Agelastatin A . McClary, B.; Boris, Z.; Meyer, M.; Jouanneau, M.; Pellegrino, S.; Yusupova, G.; Schuller, A.; Reyes, J. C.; P., Lu, J.; Luo, C.; Dang, Y.; Romo, D.; Yusupov, M.; Green, R.; Liu, J. O. Cell Chem. Biol. 2017, 24, 605-613. 127. Enantioselective Diels-Alder-Lactamization Organocascades Employing a Furan-Based Diene Abbasov, M. E.; Hudson, B. M.; Kong, W.; Tantillo, D. J.; Romo. D. Org. Biomol. Chem. 2017, 33, 592-594. 126. A Strategy for Dual Inhibition of the Proteasome and Fatty Acid Synthase with Belactosin C-Orlistat Hybrids . Zhu, M.; Harshbarger, W.; Robles, O.; Krysiak, J.; Hull, K.; Cho, C. S; Richardson, R.; Yang, Y.; Garcia, A.; Spiegelman, L.; Ramirez, B.; Wilson, C.; Yau, J. A.; Moore, J.; Walker, C.; Sacchettini, C; Liu, W.; Sieber, S.; Smith, J; Romo, D. Bioorg. Med. Chem. Lett. 2017. 25, 2901-2919. 125. Telescoped Synthesis of γ-Bromo-β-Lactones from Allylic Bromides Employing Carbon Dioxide Vellalath, S.; Romo, D., Isr. J. Chem. 2017, 57, 1-6. [Highlighted in Wiley-VCH Hot Topics: CO2]. 124. Stereodivergent, Diels‐Alder‐Initiated Organocascades Employing α,β-Unsaturated Acylammonium Salts: Scope, Mechanism, and Applications Abbasov, M. E.; Hudson, B. M.; Tantillo, D. J.; Romo D., Chem. Sci. 2017, 8, 1511-1524. 123. Catalytic Generation of Ammonium Enolates and Related Tertiary Amine-Derived Intermediates: Applications, Mechanism, and Stereochemical Models (n→π*) Van, K. N.; Morrill, L. C.; Smith, A. D.; Romo, D.,In Lewis Base Catalysis in Organic Synthesis; Vedejs, E.; Denmark, S. E., Eds. ; Wiley-VCH: 2016. (Book chapter). 122. Editorial: Strategies for cellular target identification of natural products J. O. Liu and D. Romo, Nat. Prod. Rep. 2016, 33, 592-594. 121. The Emerging Utility of α,β-Unsaturated Acylammonium Salts for Asymmetric Organocatalysis Vellalath, S.; Romo, D. Angew. Chem. Int. Ed. 2016, 55, 13934-13943. 120. Chemical Mechanism of the Phosphotriesterase from Sphingobiumsp. 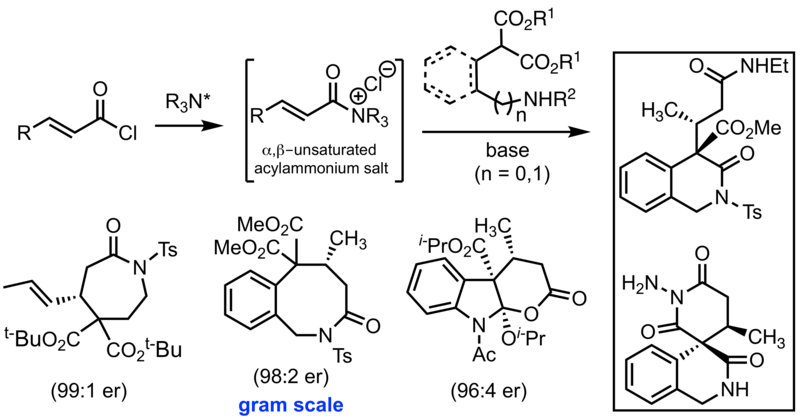 Strain TCM1, an Enzyme Capable of Hydrolyzing Organophosphate Flame Retardants Bigley, A. N.; Xiang, D. F.; Ren, Z.; Xue, H.; G. Hull, K. G.; Romo, D.; Raushel, F. M. J. Am. Chem. Soc. 2016, 138, 2921-2924. 119. Derivatization of Agelastatin A Leading to Bioactive Analogs and a Trifunctional Probe . Jouanneau, M.; McClary, B.; Reyes, J. C. P.; Chen, R.; Chen, Y.; Plunkett, W.; Cheng, X.; Milinichik, A. Z.; Albone, E. F.; Liu, J. O.; Romo, D. Bioorg. Med. Chem. Lett. 2016, 26, 2092-2097. 118. Piperlongumine Blocks JAK2-STAT3 to Inhibit Collagen-Induced Platelet Reactivity Independent of Reactive Oxygen Species . Yuan, H.; Houck, K. L., Tian, Y.; Bharadwaj, U.; Hull, K.; Zhou, M.; Wu, X.; Tweardy, D. J.; Romo, D.; Fu, X.; Zhang Y.; Zhang, J.; Dong, J.-F. PLOS one 2015, 10, e0143964. 117. Interrogation of the Substrate Profile and Catalytic Properties of the Phosphotriesterase from Sphingobium sp. Strain TCM1: An Enzyme Capable of Hydrolyzing Organophosphate Flame Retardants and Plasticizers. Xiang D. F.; Bigley, A. N.; Zhongjie Ren, Z.; Xue, H.; Hull K. G.; Romo, D.; Frank M. Raushel, F. M. Biochemistry 2015, 54, 7539-7549. 116. Utility and NMR Studies of α,β-Unsaturated Acylammonium Salts: Synthesis of Polycyclic Dihydropyranones and a Dihydropyridone Vellalath, S.; Van, K. N.; Romo, D. Tetrahedron Lett. 2015 23, 3647–3652. (Commemorative Issue for the late Prof. Harry Wasserman). 115. Synthesis of (±)-Spongiolactone Enabling Discovery of a More Potent Derivative Harvey, N. L.; Krysiak, J.; Chamni, S.; Cho, S. W.; Sieber, S. A.; Romo, D. Chem. Eur. J. 2015, 21, 1425–1428. 114. Covalent Modification of a Cysteine in XPB Through Single Epoxide Cleavage of the Transcription Inhibitor Triptolide He, Q.-L.; Titov, D. V.; Li, J.; Tan, M.; Ye, Z.; Zhao, Y.; Romo, D.; Liu, J. O. Angew. Chem. Int. Ed. 2015, 54, 1859–1863. 113. 2-Bromo-N-n-propyl-pyridinium-1,1,1-trifluoromethanesulfonate Jouanneau, M.; Romo, D. Encyl. Reag. Org. Syn. 2014, 1–2. 112. Role of an Active Site Loop in the Promiscuous Activities of Amycolatopsis sp. T-1-60 NSAR/OSBS McMillan, A. W.; Lopez, M. S.; Zhu, M.; Morse, B. C.; Yeo, I.-C.; Amos, J.; Hull, K.; Romo, D.; Glasner, M. E. Biochemistry 2014, 53, 4434–4444. 111. Promiscuity of Exiguobacterium sp. AT1b o-Succinylbenzoate Synthase Illustrates Evolutionary Transitions in the OSBS Family Brizendine, A. M.; Odokonyero, D.; McMillan, A. W.; Zhu, M.; Hull, K.; Romo, D.; Glasner, M. E. Biochem. Biophys. Res. Commun. 2014, 450, 679–684. 110. The Ever-Expanding Role of Asymmetric Covalent Organocatalysis in Scalable, Natural Product Synthesis Abbasov, M. E.; Romo D. Nat. Prod. Rep. 2014, 31, 1318–1327. 108. Chemo- and Site-Selective Derivatizations of Natural Products Enabling Biological Studies Robles, O.; Romo D. Nat. Prod. Rep. 2014, 31, 318-334. 107. 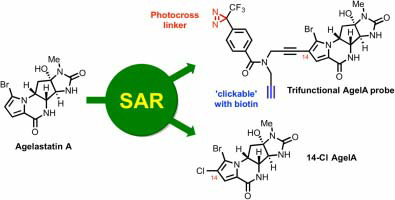 Second-Generation Derivatives of the Eukaryotic Translation Initiation Inhibitor Pateamine A Targeting eIF4A as Potential Anticancer Agents Low, W.-K.; Li, J.; Zhu, M.; Kommaraju, S. S.; Shah-Mittal, J.; Hull, K.; Liu, J. O.; Romo D. Bioorg. Med. Chem. Lett. 2014, 22, 116-125. 104. 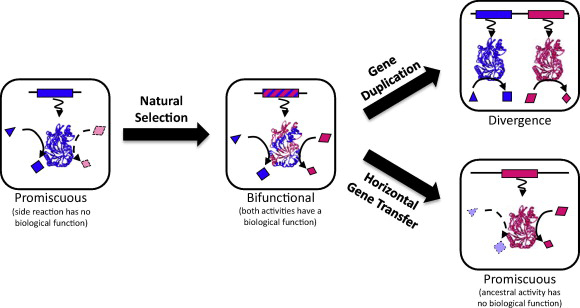 Interrogating Translational Efficiency and Lineage-Specific Transcriptomes Using Ribosome Affinity Purification Zhou, P.; Zhang, Y.; Ma, Q.; Gu, F. Day, D. S.; He, A.; Zhou, B., Li, J., Stevens, S.; Romo, D.; Pu, W. T. Proc. Nat. Acad. Sci., 2013, 110, 15395-15400. 103. Concise Synthesis of the Isothiourea Organocatalysts Homobenzotetramisole and Derivatives Ranieri, B.; Robles, O.; Romo, D. J. Org. Chem., 2013, 78, 6291-6296. 102. 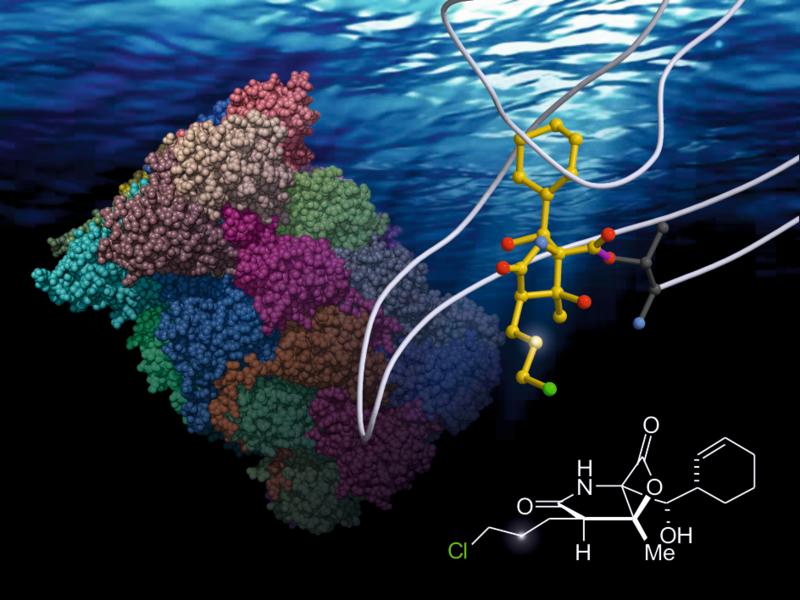 Simultaneous Structure–Activity Studies and Arming of Natural Products by C–H Amination Reveal Cellular Targets of Eupalmerin Acetate Li, J.; Cisar, J.S. ; Zhou, C.-Y. ; Vera, B.; Williams, H.; Rodrı´guez, A.B. ; Cravatt, B.F.; Romo, D. Nature Chem., 2013, 5, 510-517. 101. Dyotropic Rearrangements of Fused Tricyclic β-Lactones: Application to the Synthesis of (−)-Curcumanolide A and (−)-Curcumalactone Leverett C.A. ; Purohit V.C. ; Johnson A.G.; Davis R.L. ; Tantillo D.J. ; Romo D. J. Am. Chem. Soc., 2012, 134, 13348-13356. 100. Bioinspired Total Synthesis of Agelastatin A Reyes, J.C.P. ; Romo, D. Angew. Chem. Int. Ed., 2012, 51, 6870-6873. 99. De Novo Synthesis of Benzosceptrin C and Nagelamide H from 7-15N-Oroidin: Implications for Pyrrole–Aminoimidazole Alkaloid Biosynthesis Stout E.P. ; Morinaka, B.I. ; Wang, Y.-G.; Romo, D.; Molinski, T.F. J. Nat. Prod., 2012, 75, 527-530. 98. Pyrrole-Aminoimidazole Alkaloid Metabiosynthesis with Marine Sponges Agelas Conifera and Stylissa Caribica Stout, E.P. ; Wang, Y.-G.; Romo, D.; Molinski, T.F. Angew. Chem. Int. Ed., 2012, 51, 4877-4881. 97. Cyclopropanations of Olefin-Containing Natural Products for Simultaneous Arming and Structure Activity Studies Robles, O.; Sergio O. Serna-Saldívar, S.O. ; Gutiérrez-Uribe, J.A. ; Romo, D. Org. Lett., 2012, 14, 1394-1397. 96. A Diastereoselective, Nucleophile-Promoted Aldol-Lactonization of Ketoacids Leading to Bicyclic-β-Lactones Liu, G.; Shirley, M.E. ; Romo, D. J. Org. Chem., 2012, 77, 2496-2500. 95. Mechanistic Investigations of the ZnCl2-Mediated Tandem Mukaiyama Aldol-Lactonization (TMAL): Evidence for Asynchronous, Concerted Transition States and Discovery of 2-Oxopyridyl Ketene Acetal Variants Zhao, C.; Mitchell, T. A.; Vallakati, R.; Pérez, L. M. Romo, D. J. Am. Chem. Soc., 2011, 134, 3084-3094. 92. Switching Between Concerted and Stepwise Mechanisms for Dyotropic Rearrangements of β-Lactones Leading to Spirocyclic, Bridged γ-Butyrolactones Davis, R.; Leverett, C.; Romo, D.; Tantillo, D. J. Org. Chem., 2011, 76, 7167-7174. 89. Organocatalytic Enantioselective Synthesis of Bicyclic β-Lactones Via Nucleophile-Catalyzed Aldol-Lactonization (NCAL) Nguyen, H.; Oh, S.; Henry-Riyad, H.; Sepulveda, D.; Romo, D. Org. Syn., 2011, 88, 121-137. 88. Marinobufagenin Levels in Preeclamptic Patients: A Preliminary Report Horvat, D.; Harrison, R.; Uddin, M.N. ; Jones, R.; Abi Ghanem, D.; Berghman, L.C. ; Lai, X.Z. ; Li, J.; Romo, D.; Puschett, J.B. Amer. J. Perinatology, 2011, 28, 509-514. 87. A Chemifluorescent Immunoassay for the Determination of Marinobufagenin in Body Fluids Abi-Ghanem, D.; Lai, X.Z. ; Berghman, L.R. ; Horvat, D.; Li, J.; Romo, D.; Uddin, M.N. ; Kamano, Y .; Nogawa, T.; Xu, J.P.; Pettit, G.R. ; Puschett, J.B. J. Immunoassay Immunochem., 2011, 32, 31-46. 84. Cyclosporin A Treatment of Leishmania Donovani Reveals Stage-Specific Functions of Cyclophilins in Parasite Proliferation and Viability Yau, W.L. ; Blisnick, T.; Taly, J.F. ; Helmer-Citterich, M.; Schiene-Fischer, C.; Leclercq, O.; Li, J.; Schmidt-Arras, D.; Morales, M.A. ; Notredame, C.; Romo, D.; Bastin, P.; Spath, G.F. Plos Negl. Trop. Dis., 2010, 4, e729. 83. Double Diastereoselective, Nucleophile-Catalyzed Aldol Lactonizations (NCAL) Leading to β-Lactone Fused Carbocycles and Extensions to β-Lactone Fused Tetrahydrofurans Morris, K. A.; Arendt, K.; Oh, S.; Romo, D. Org. Lett., 2010, 12, 3764-3767. 82. A1,3-Strain Enabled Retention of Chirality During Bis-Cyclization of β-Ketoamides: Total Synthesis of (–)-Salinosporamide A and (–)-Homosalinosporamide A Nguyen, H.; Ma, G.;Romo, D. Chem. Comm., 2010, 46, 4803-4805. 81. Mild Arming and Derivatization of Natural Products via an In(OTf)3-Catalyzed Arene Iodination Zhou, C-Y; Li, J.; Peddibhotla, S.; Romo, D. Org. Lett., 2010, 12, 2104-2107. 80. Synthesis of 7-15N-Oroidin and Evaluation of Utility for Biosynthetic Studies of Pyrrole-Imidazole Alkaloids by Microsale 1H-15N HSQC and FTMS Wang, Y.; Morinaka, B.I. ; Reyes, J.C.P. ; Wolff, J. H.; Romo, D.; Molinski, T. F. J. Nat. Prod., 2010, 73, 428-434. 78. Inhibition of Nonsense-mediated mRNA Decay by the Natural Product Pateamine A Through Eukaryotic Initiation Factor 4AIII Dang, Y.; Low, W-K.; Xu, J.; Gehring, N. H.; Dietz, H.C.; Romo, D.; Liu, J.O. J. Biol. Chem., 2009, 35, 23613-23621. 77. Asymmetric Synthesis, Structure, and Reactivity of Unexpectedly Stable Spiroepoxy-β-Lactones Including Facile Conversion to Tetronic Acids: Application to (+)-Maculalactone A Duffy, R. J.; Morris, K.A. ; Vallakati, R.; Zhang, W.; Romo, D. J. Org. Chem., 2009, 74, 4772-4781. 76. Synthesis of Unusually Strained Spiro Ring Systems and Their Exploits in Synthesis Duffy, R. J.; Morris, K. A.; Romo, D. Tetrahedron 2009, 65, 5879-5892. 75. Potent In Vitro and In Vivo Anticancer Activities of Des-methyl, Des-amino Pateamine A, a Synthetic Analogue of Marine Natural Product Pateamine A Kuznetsv, G.; Xu,Q.;Rudolph-Owen,L. ; TenDyke, K.; Liu, J.; Towle, M.; Zhao, N.; Marsh, J.; Agoulnik, S.; Twine, N.; Parent, L.; Chen, Z.; Shie, J.; Jian, Y.; Zhang, H.; Du, H.; Boivin, R.; Wang, Y.; Romo, D.; Littlefield, B. Mol Cancer Ther., 2009, 8, 1250-1260. 74. Enantioselective Synthesis of Schulzeines B and C via a Beta-Lactone-Derived Surrogate for Bis-homoserine Aldehyde Romo, D.; Liu, G. Org. Lett., 2009, 11, 1143-1146. 73. Diastereoselective, Three-Component, Cascade Synthesis of Tetrahydrofurans and Tetrahydropyrans Employing the Tandem Mukaiyama Aldol-Lactonization (TMAL) Process Mitchell, T. A.; Zhao, C.; Romo, D. J. Org. Chem., 2008, 73, 9544-9551. 72. Recent Advances in Lewis Base-Catalyzed, Stereoselective Aldol β- and γ- Lactonizations Purohit, V. C.; Matla, A. S.; Romo, D. Heterocycles 2008, 76, 949-979. 71. Concise Synthesis of Spirocyclic, Bridged γ-Butrolactones via Stereospecific, Dyotropic Rearrangements of β-Lactones Involving 1,2-Acyl and δ-Lactone Migrations Purohit, V. C.; Matla, A. S.; Romo, D. J. Am. Chem. Soc., 2008, 130, 10478-10479. 70. Synthesis of Novel β-Lactone Inhibitors of Fatty Acid Synthase Richardson, R. D.; Ma, G.; Oyola, Y.; Zancanella, M. A.; Knowles, L. M.; Cieplak, P.; Romo, D.; Smith, J. W. J. Med. Chem., 2008, 51, 5285-5296. 69. Facile Sythesis of the Trans-Fused Azabicyclo[3.3.0]octane Core of Palau’amine and the Tricyclic Core of Axinellamine from a Common Intermediate Zancanella, M. A.; Romo, D. Org. Lett., 2008, 10, 3685-3688. 68. Highly Diastereoselective, Tandem, Three-Component Synthesis of Tetrahydrofurans from Ketoaldehydes via Silylated β-Lactone Intermediates: Application to a Colpsinol B Fragment Mitchell, T. A.; Zhao, C.; Romo, D. Angew. Chem. Int. Ed., 2008, 47, 5026-5029. 65. Synthesis of a Cyclic Guanidine Hemiaminal Pertinent to the Axinellamines Tang, L.; Romo, D. Heterocycles 2007, 74, 999-1008. 63. Transformation of Fused Bicyclic and Tricyclic β-Lactones to Fused γ-Lactones and 3(2H)-Furanones via Ring Expansions and O−H Insertions Zhang, W.; Romo, D. J. Org. Chem., 2007, 72, 8939-8942. 61. Substrate-Dependent Targeting of Eukaryotic Translation Initiation Factor 4A by Pateamine A: Negation of Domain-Linker Regulation of Activity Low, W.-K.; Dang, Y.; Bhat, S.; Romo, D.; Liu, J. O. Chem. & Biol., 2007, 14, 1-13. 57. Isolation and Identification of Eukaryotic Initiation Factor 4A as a Molecular Target for the Marine Natural Product Pateamine A Low, W.-K.; Dang, Y.; Schneider-Poetsch, T.; Shi, Z.; Choi, N. S.; Rzasa, R. M.; Shea, H. A.; Li, S.; Park, K.; Ma, G.; Romo, D.; Liu, J. O. Methods in Enzymology 2007, 431, 303-324. 56. Eukaryotic Initiation Factor 2α-independent Pathway of Stress Granule Induction by the Natural Product Pateamine A Dang Y.; Kedersha, N.; Low, W.-K.; Romo, D.; Gorospe, M.; Kaufman, R.; Anderson, P.; Liu, J. O. J. Biol. Chem., 2006, 281, 32870-32878. 55. Synthesis, Characterization, and Utility of Thermoresponsive Natural/Unnatural Product Macroligands for Affinity Chromatography Zhou, M.; Sivaramakrishnan, A.; Ponnamperuma, K.; Low, W.-K.; Li, C.; Zhang, Y.; Liu, J. O.; Bergbreiter, D.; Romo, D. Org. Lett., 2006, 8, 5247-5250. 54. Total Synthesis and Comparative Analysis of Orlistat, Valilactone, and a Transposed Orlistat Derivative: Inhibitors of Fatty Acid Synthase Ma, G.; Zancanella, M.; Oyola, Y.; Richardson, R. D.; Smith, J. W.; Romo, D. Org. Lett., 2006, 8, 4497-4500. 53. Bicyclic- and Tricyclic-β-Lactones via an Organonucleophile Bis-cyclization of Keto-Acids: Enantioselective Synthesis of (+)-Dihydroplakevulin Henry-Riyad, H.; Lee, C. S.; Purohit, V.; Romo, D. Org. Lett., 2006, 8, 4363-4366. 52. Mild Deprotection of Primary N-(p-Toluenesulfonyl) Amides with SmI2 Following Trifluoroacetylation Moussa, Z.; Romo, D. Synlett 2006, 19, 3294-3298. 51. Diastereoselective, Vinylogous Mukaiyama Aldol Addition of Silyloxy Furans to Cyclic Ketones: Annulation of Butenolides and γ-Lactones Kong, K.; Romo, D. Org. Lett., 2006, 8, 2909-2912. 50. 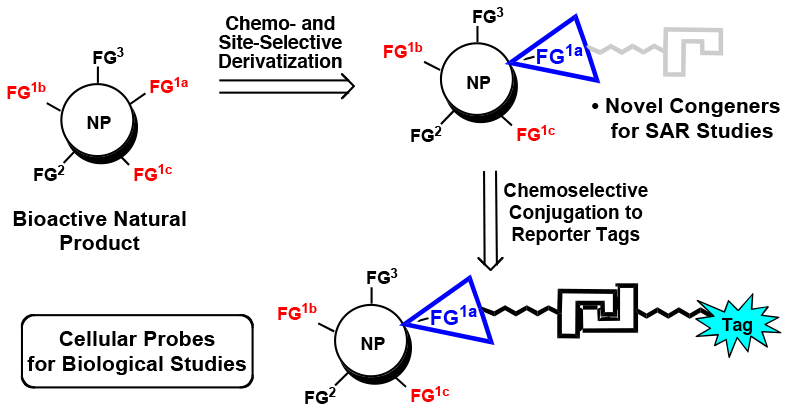 Planned and Unplanned Halogenations in Route to Selected Oroidin Alkaloids Wang, S.; Poullennec, K. G.; Dilley, A. S.; Romo, D. Tetrahedron 2006, 62, 7155-7161. 49. 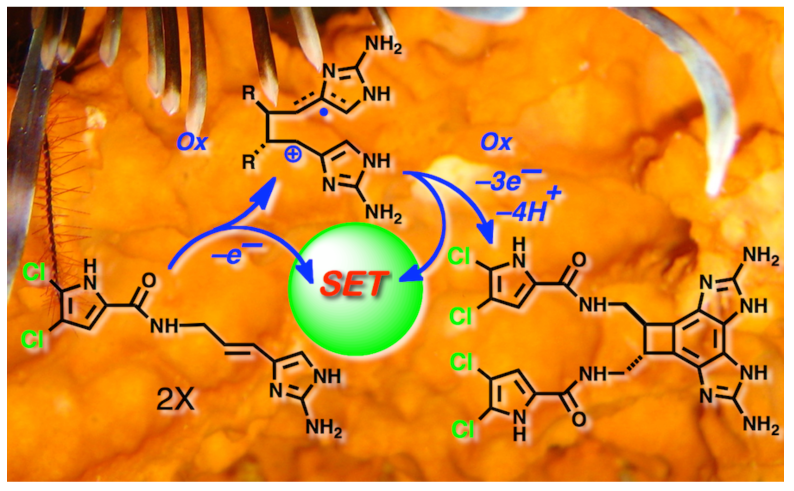 Practical, Catalytic, Asymmetric Synthesis of β-Lactones via a Sequential Ketene Dimerization/Hydrogenation Process: Inhibitors of the Thioesterase Domain of Fatty Acid Synthase Purohit, V. C.; Richardson, R. D., Smith, J. W.; Romo, D. J. Org. Chem., 2006, 71, 4549-4558. 46. Synthesis, Structure, and Reactivity of Unexpectedly Stable Spiroepoxy-β-Lactones Obtained by Epoxidation of 4-Alkylidene-2-Oxetanones Duffy, R. J.; Morris, K. A.; Romo, D. J. Am. Chem. Soc., 2005, 127, 16754-16755. 44. 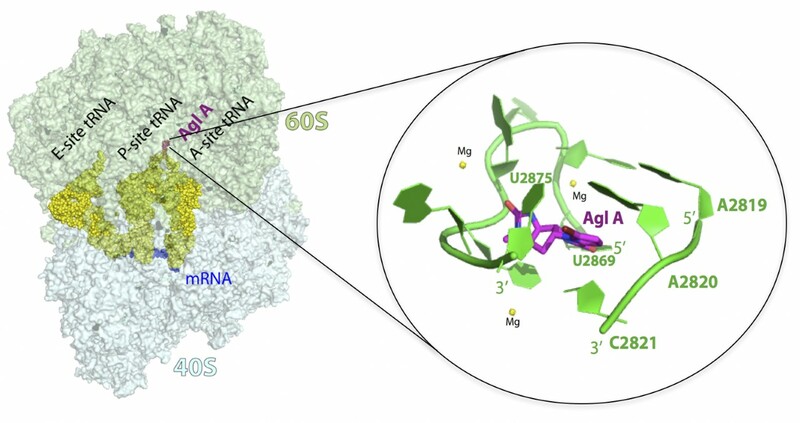 Studies Toward a Marine Toxin Immunogen: Enantioselective Synthesis of the Spirocyclic Imine of (-)-Gymnodimine Kong, K.; Moussa, Z.; Romo, D. Org. Lett., 2005, 7, 5127-5130. 42. Highly Regioselective Diels-Alder Reactions toward Oroidin Alkaloids: Use of a Tosylvinyl Moiety as a Nitrogen Masking Group with Adjustable Electronics Dransfield, P. J.; Wang, S.; Dilley, A.; Romo, D. Org. Lett., 2005, 7, 1679-1682. 41. β-Lactones: Intermediates for Natural Product Total Synthesis and New Transformations Wang, Y.; Tennyson, R.; Romo, D. Heterocycles 2004, 64, 605-658. 40. Evidence for Separate Binding and Scaffolding Domain in the Immunosuppressive and Antitumor Marine Natural Product, Pateamine A: Design, Synthesis, and Activity Studies Leading to a Potent, Simplified Derivative Romo, D.; Choi, N. S.; Buchler, I. P.; Shi, Z.; Liu, J. O. J. Am. Chem. Soc., 2004, 126, 10582-10588. 39. Enantioselective Total Synthesis of (+)-Dibromophakellstatin Poullenec, K.; Romo, D. J. Am. Chem. Soc., 2003, 125, 6344-6345. 38. Concise Total Synthesis of (+)-Brefeldin A: A Combined β-Lactone/Cross-Metathesis-Based Strategy Wang, Y.; Romo, D. Org. Lett., 2002, 4, 3231-3234. 37. Highly Diastereoselective Desymmetrizations of Cyclo(Pro,Pro): An Enantioselective Strategy Toward Phakellstatin and Phakellin Poullennec, K. G.; Kelly, A. T.; Romo, D. Org. Lett., 2002, 4, 2645-2648. 36. Nucleophilic Openings of Bicyclic β-Lactones via Acyl C-O and Alkyl C-O Cleavage: Catalytic, Asymmetric Synthesis of a Versatile, Carbocyclic Nucleoside Precursor and Protected Transpentenic Acid Yokota, Y.; Cortez, G. S.; Romo, D. Tetrahedron: Symposium in Print "Application of Strained Heterocycles as Reactive Intermediates in Organic Synthesis" Tetrahedron 2002 58, 7075-7080. 35. Mechanism and Origin of Stereoselectivity in Lewis Acid-Catalyzed [2+2] Cycloadditions of Ketenes with Aldehydes Singleton, D. A.; Wang, Y.; Yang, H. W.; Romo, D. Angew. Chem. Int. Ed., 2002, 41, 1572-1575. 34. A β-Lactone Route to Chiral γ-Substituted α-Amino Acids: Application to the Concise Synthesis of (S)- α-Azidobutyro Lactone and a Natural Amino Acid Tennyson, R.; Cortez, G. C.; Galicia, H. J.; Kreiman, C. R.; Thompson, C. M.; Romo, D. Org. Lett., 2002, 4, 533-536. 33. Bicyclic β-Lactones via Intramolecluar NCAL Reactions with Cinchona Alkaloids: Effect of the C9-Substitutent on Enantioselectivity and Catalyst Conformation Cortez, G. S.; Oh S.-H.; Romo, D. Synthesis (Special Topics) 2001, 1731-1736. 31. Enantioselective Strategy to the Spirocyclic Core of Palau'amine and Related Bisguanidine Marine Alkaloids Dilley, A. S.; Romo, D. Org. Lett., 2001, 3, 1535-1538. 30. The Incredible Power of Organic Synthesis Romo, D. New Voices in Chemistry, Chemical and Engineering News-125th Anniversary Issue, March 26, 2001. 29. Studies Toward Gymnodimine: Development of a Single-Pot Hua Reaction for the Synthesis of Highly Hindered Cyclic Imines Ahn, Y.; Cardenas, G.; Yang, J.; Romo, D. Org. Lett., 2001, 3, 751-754. 28. Use of In Situ Generated Ketene in the Wynberg β-Lactone Synthesis: New Transformations of the Dichlorinated β-Lactone Products Tennyson, R.; Romo, D. J. Org. Chem., 2000, 65, 7248-7252. 27. 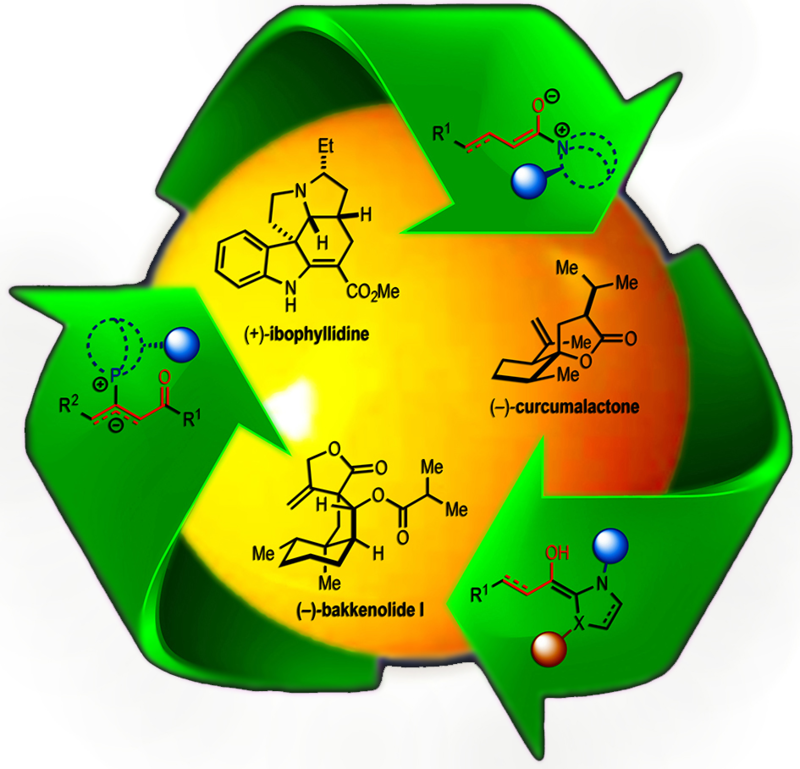 "Total Synthesis of Marine Natural Products Driven by Novel Structure, Potent Biological Activity, and/or Synthetic Methodology" In The Role of Natural Products in Drug Discovery, Romo, D.; Rzasa, R. M.; Schmitz, W. D.; Yang, J.; Cohn, S. T.; Buchler, I. P.; Shea, H. A.; Park, K.; Langehan, J. M.; Messerchmidt, N. B.; Cox, M. M., Mulzer, J.; Bohlmann, R., Eds. ; Ernst Schering Research Foundation Workshop 32, Springer-Verlag Publishers, Berlin, Germany, 2000. 26. Studies Toward (-)-Gymnodimine: Concise Routes to the Tetrahydrofuran and Spirocyclic Moieties Yang, J.; Cohn, S.; Romo, D. Org. Lett., 2000, 2, 763-767. 25. A Stereocomplementary Approach to β-Lactones: Highly Diastereoselective Synthesis of cis-β-Lactones, a β-Chloroacid, and a Tetrahydrofuran Wang, Y.; Zhao, C.; Romo, D. Org. Lett., 1999, 1, 1197-1199. 24. A Single Pot, Mild Conversion of β-Lactones to β-Lactams Yang, H. W.; Romo, D. J. Org. Chem., 1999, 64, 7657-7660. 23. Methods for the Synthesis of Optically Active β-Lactones (2-Oxetanones) Yang, H. W.; Romo, D. Tetrahedron 1999, 55, 6403-6434. 22. Total Synthesis and Immunosuppressive Activity of (-)-Pateamine A and Related Compounds: Implementation of a β-Lactam-Based Macrocyclization Romo, D.; Rzasa, R. M.; Shea, H. A.; Park, K.; Langehan, J. M.; Sun, L.; Akhiezer, A.; Liu, J. O. J. Am. Chem. Soc., 1998, 120, 12237-12254. 21. Synthesis and Inhibitory Action on HMG-CoA Synthase of Racemic and Optically Active Oxetan-2-ones (β-Lactones) Romo, D.; Harrison, P. H. M.; Jenkins, S. I.; Riddoch, R. W.; Park, K. P.; Yang, H. W.; Zhao, C.; Wright, G. D. Bioorg. Med. Chem., 1998, 6, 1255-1272. 20. Simultaneous Deprotection and Purification of BOC-amines Based on Ionic Resin Capture Liu, Y.-S.; Zhao, C.; Bergbreiter, D. E.; Romo, D. J. Org. Chem., 1998, 63, 3471-3473. 19. Studies of the Asymmetric [2+2] Cycloaddition of Silylketenes and Aldehydes Employing Ti-TADDOL Catalysts Yang, H. W.; Romo, D. Tetrahedron Lett., 1998, 39, 2877-2880. 18. A β-Lactone-Based Strategy Applied to the Total Synthesis of (8S,21S,22S,23R)- and (8R,21S,22S,23R)-Okinonellin B Schmitz, W. D.; Messerschmidt, B.; Romo, D. J. Org. Chem., 1998, 63, 2058-2059. 17. Practical, One-Step Synthesis of Optically Active β-Lactones via the Tandem Mukaiyama Aldol-Lactonization (TMAL) Reaction Yang, H. W.; Romo, D. J. Org. Chem., 1998, 63, 1344-1347. 16. Total Synthesis of the Novel, Immunosuppressive Agent (−)-Pateamine A from Mycale sp. Employing a β-Lactam-Based Macrocyclization Rzasa, R. M.; Shea, H. A.; Romo, D. J. Am. Chem. Soc., 1998, 120, 591-592. 15. A β-Lactone-Based Route to Cyclopentanes via Intramolecular Allylsilane Additions. An Unexpected Friedel-Crafts Alkylation Zhao, C.; Romo, D. Tetrahedron Lett., 1997, 38, 6537-6540. 14. Studies of the Tandem Mukaiyama Aldol-Lactonization (TMAL) Reaction: A Concise and Highly Diastereoselective Route to β-Lactones Applied to the Total Synthesis of the Potent Pancreatic Lipase Inhibitor, (−)-Panclicin D Yang, H. W.; Zhao, C.; Romo, D. Tetrahedron (Symposium in Print) 1997, 53, 16471-16488. 13. 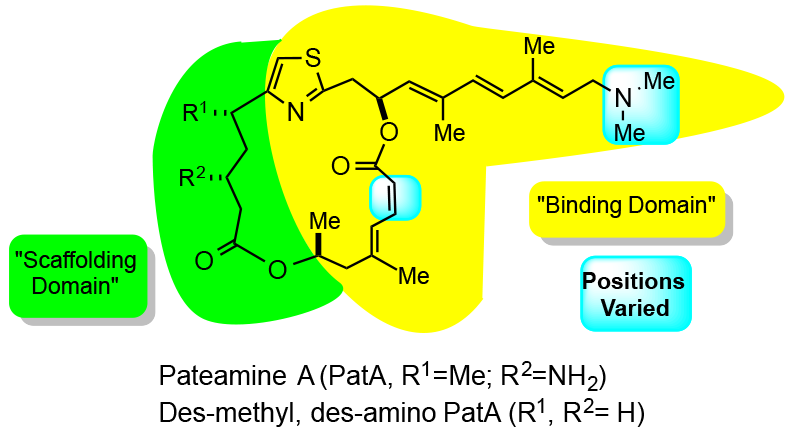 A Highly Diastereoselective, Tandem Mukaiyama Aldol-Lactonization Route to β-Lactones: Application to a Concise Synthesis of the Potent Pancreatic Lipase Inhibitor, (−)-Panclicin D Yang, H. W.; Romo, D. J. Org. Chem., 1997, 62, 4-5. 12. A New Route to 2-Substituted Δ2-Thiazolines: Stille Cross-Couplings of 2-Bromo-Δ2-Thiazolines Schmitz, W. D.; Romo, D. Tetrahedron Lett. 1996, 37, 4857-4860. 11. Tandem Transacylation/Debenzylation of β-Lactones Mediated by FeCl3 Leading to γ- and δ-Lactones: Application to the Synthesis of (-)-Grandinolide Zemribo, R.; Champ, M. S.; Romo, D. Synlett 1996, 278-280. 10. Highly Diastereoselective [2+2] Cycloadditions via Chelation Control: Asymmetric Synthesis of β-Lactones Zemribo, R. and Romo, D. Tetrahedron Lett., 1995, 36, 4159-4162. 9. 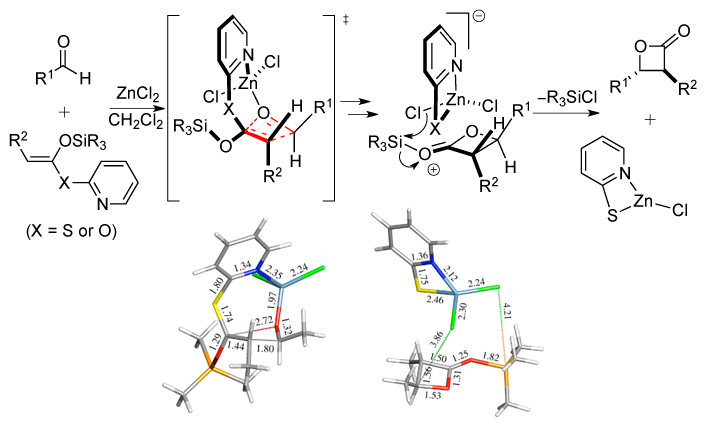 Structural and Synthetic Studies of the Pateamines: Synthesis and Absolute Configuration of the Hydroxy Dienoate Fragment Rzasa, R. M.; Romo, D.; Stirling, D.; Blunt, J. W.; Munro, M. H. G. Tetrahedron Lett., 1995, 36, 5307-5310. 8. Synthesis, Structure and Mechanism in Immunophilin Research Belshaw, P. J.; Meyer, S. D.; Johnson, D. D.; Romo, D.; Ikeda, Y.; Andrus, M.; Alberg, D. G.; Schultz, L. W.; Clardy, J.; Schreiber, S. L. Synlett 1994, 381-392. 7. Total Synthesis of (-)-Rapamycin Using an Evans-Tischenko Fragment Coupling Romo, D.; Meyer, S. D.; Johnson, D. D.; Schreiber, S. L. J. Am. Chem. Soc., 1993, 115, 7906-7907. 6. Synthetic Investigations of Rapamycin. 2. Synthesis of a C(22)-C(42) Fragment Romo, D.; Johnson, D. D.; Plamondon, L.; Miwa, T.; Schreiber, S. L. J. Org. Chem., 1992, 57, 5060-5063. 5. An Asymmetric Route to Enantiomerically Pure 1,2,3-Trisubstituted Cyclopropanes Romo, D.; Meyers, A. I. J. Org. Chem., 1992, 57, 6265-6270. 4. Chiral Non-Racemic Bicyclic Lactams. Vehicles for the Construction of Natural and Unnatural Products Containing Quaternary Carbon Centers Romo, D.; Meyers, A. I. Tetrahedron 1991, 47, 9503-9569. 3. Diastereoselective Cyclopropanations of Chiral Bicyclic Lactams Leading to Enantiomerically Pure Cyclopropanes. 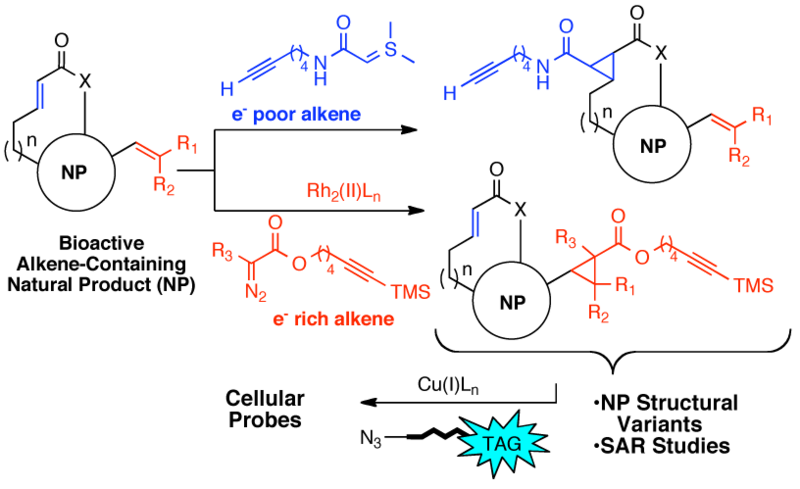 Application to the Total Synthesis of cis-(1S,3R)-Deltamethrinic acid and R-(-)-Dictyopterene C Romo, D.; Romine, J. L.; Midura, W.; Meyers, A. I. Tetrahedron 1990, 46, 4951-4994. 2. Chiral Bicyclic Lactams. Asymmetric Synthesis of cis-(1S,3R)-Deltamethrinic Acid Meyers, A. I.; Romo, D. Tetrahedron Lett., 1989, 30, 1745-1748. 1. 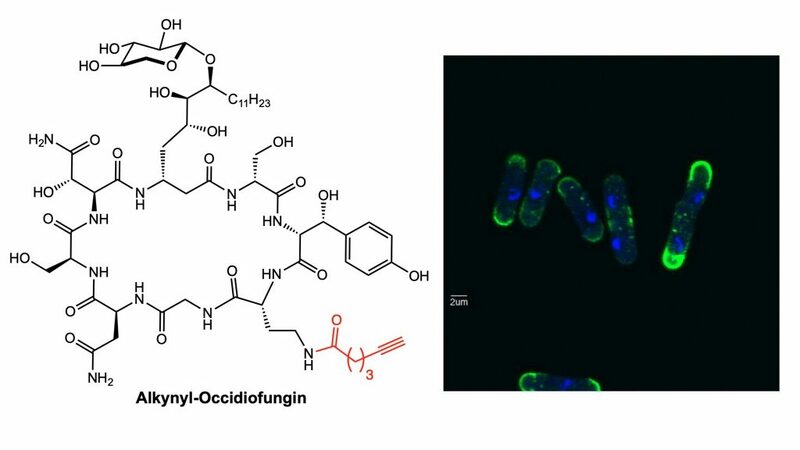 Effects of Analogs of the Fungal Sexual Pheromone Sirenin on Male Gamete Motility in Allomyces Macrogynus Pommerville, J. C.; Strickland, J. B.; Romo, D.; Harding, K. E. Plant Physiology 1988, 88, 139-142.